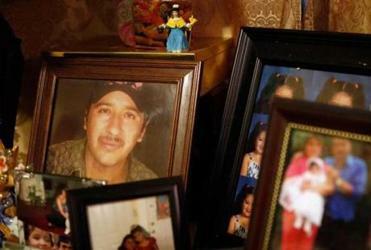 Days before police scoured a dusty Texas ranch to search for her brother’s remains, a stranger called Maria Interiano. He knew Santos’ middle name and that he had a scar on one knee. And he knew that Santos had been missing since he crossed the US-Mexico border in 2013. Maria would do anything to see her brother again; she was desperate. The strangers who said they could get him back knew that, too. They led her on a frantic odyssey in September from her attic apartment near Boston to a bodega in East Boston and finally to the Walmart in Lynn, where she wired them ransom money to ensure her brother’s safe passage. A man named Victor assured her that Santos was on his way. Soon after, Victor’s phone went dead. When it was over, Maria and her family had paid more than $3,100 to the alleged scam artists — and they were not the only ones. Over the same few days, families in Maryland, Kansas, and Texas also wired money to Victor’s contact in Mexico. Authorities caution about providing personal information and to be wary of people who might be scam artists. The FBI says it has seen a frightening increase in these kinds of “virtual kidnappings” across the United States, fueled by social media. They say perpetrators scan the Internet for people who are traveling or missing, and contact their relatives to demand a ransom for their return. “A lot of people are putting way too much personal information on social media sites,” said Peter Kowenhoven, assistant special agent in charge of the Boston FBI. But advocates say thousands of immigrants are flocking online because the United States is failing to help them find hundreds — possibly thousands — of migrants who died or disappeared after crossing the US-Mexico border. One of the last photos taken of Santos Interiano in El Salvador. Last year, the Globe chronicled Maria’s desperate search for Santos, and how she was frustrated at every turn. She had tried to report Santos missing to police in Boston, Everett, and Texas, but each refused to take a report because nobody knew where he went missing and thus who had jurisdiction in his case. The lack of an official law enforcement report shut Santos out of the public National Missing and Unidentified Persons System, a federal database in English and Spanish, and prevented Maria from providing her DNA to the FBI to see whether her DNA matched any remains that had been found. After the Globe story ran, a Texas medical examiner did what police in Boston and Everett would not: Corinne Stern, of Webb County, sent a DNA kit to the Salvadoran consulate in Boston last year. The consul, Alba Azucena Lopez, pulled on latex gloves, swabbed Maria’s mouth, and sent the sealed package to Texas that day. It took minutes, and it was free. Months later, Stern said she found a “probable match” in Maverick County, according to a report obtained by the Globe under public records law. But Stern couldn’t be sure the remains were Santos’. The remains — just part of a skull found under a blackbrush tree — were so badly degraded that Stern asked the Texas Rangers to search for more. Police tape hung from the black brush where, two years earlier, a skull was found that was a “probable match”for Santos Interiano. Seven months passed. Maria’s faith in law enforcement flagged. She took her search to Spanish-language Facebook groups such as “Disappeared in Search of the American Dream,” which have proliferated in recent years. They have hundreds of thousands of followers and are filled with desperate pleas for help. Among the missing in Texas: 16-year-old Everaldo Loza Salazar, on his way from Mexico to his mother in Ohio; and 20-year-old Noe Hernandez, who was heading to Maryland. Relatives confirmed to the Globe that they are missing. Maria’s sweet younger brother had found and lost the American dream. He once had a work permit and a modest house in the United States. But then he shattered his leg in a construction accident, lost the house, and went home to El Salvador in 2009, without waiting to obtain a visa that would enable him to return. Santos’ bond with his homeland is powerful. He had three children. His mother is buried there. And he loved having time with his father. But El Salvador is desperately poor, and US records show the Central American nation has one of the highest murder rates in the world. Returning to work in the United States, even if he had to reenter illegally, could give his family a better life. He headed for the border in May 2013. Then 33 years old, Santos texted Maria constantly throughout his journey, describing the searing heat, the lack of food, and the crowded safe houses. In his final text message, he warned Maria about scam artists. “If you don’t hear from me don’t send anyone money, OK?” he wrote in Spanish on June 17, 2013. Bereft by her brother’s vanishing, Maria found it impossible to follow his parting advice. When the scam artists called, days before a Texas Ranger finally scheduled a search for Santos’ remains, she asked the man named Victor whether she could speak to her brother. But Victor claimed that Santos was in a car with a woman who had only a two-way radio. In her panic, Maria forgot that she had posted Santos’ middle name and her cellphone number on Facebook. Maria sent the first $1,000 and called the FBI early on a Saturday. At first, they told her to call back later because nobody spoke Spanish. After the Globe contacted the bureau, an agent and a bilingual police officer spent three hours at her apartment that day. Maria said Victor called while the agent was there. She said the FBI agent cautioned her that Victor’s claim was probably a scam, but he could not tell her what to do. Maria continued to pay until Victor stopped calling. 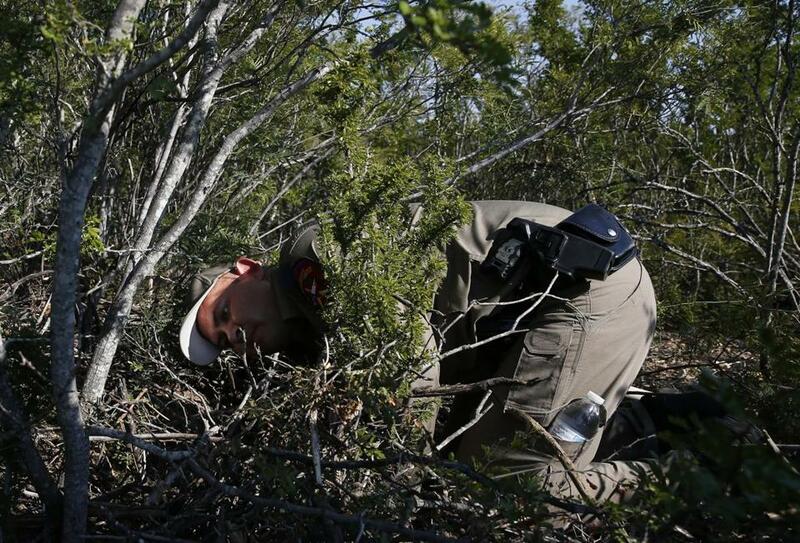 A Texas trooper searched the brush near where the skull was found. Not knowing whether a loved one is alive or dead is one of the worst kinds of grief, said Pauline Boss, a professor emeritus at the University of Minnesota. Boss is a national expert on “ambiguous loss.” Families unable to fully grieve often suffer nightmares, anxiety, and depression, Boss said. Maria said her family is in agony. Her father in El Salvador says he is “living the same nightmare.” Her sister in Boston cries easily. Maria dreams about her brother all the time. The lost funds only add to their stress. The family pooled their money and sent it via Western Union, Ria, and MoneyGram to a man in Sonora, Mexico, named Francisco Villa Escalante, according to the receipts. After the Globe contacted the money-transfer companies Maria used, MoneyGram said it cut off the man from receiving more funds and would report the incident to the US Department of Homeland Security. Other money-transfer companies did not comment on Maria’s case. MoneyGram said Maria and others should alert them to alleged scams. The FBI declined to comment on Maria’s case, saying it does not confirm or deny ongoing investigations. In Texas, advocates say many relatives of the missing are also here illegally and are afraid to turn to the police for help, leaving them vulnerable to these kinds of scams. “It’s very prevalent. It’s not like isolated incidents,” said Eduardo Canales, the director of the South Texas Human Rights Center. Baylor University professor Lori Baker, a forensic scientist and a leader in the effort to identify those who die crossing the border, said the US government should appoint someone to take missing-persons reports and arrange to take DNA samples from relatives. Officially, federal records show that more than 6,000 have died along the border since 1998, and hundreds are unidentified. 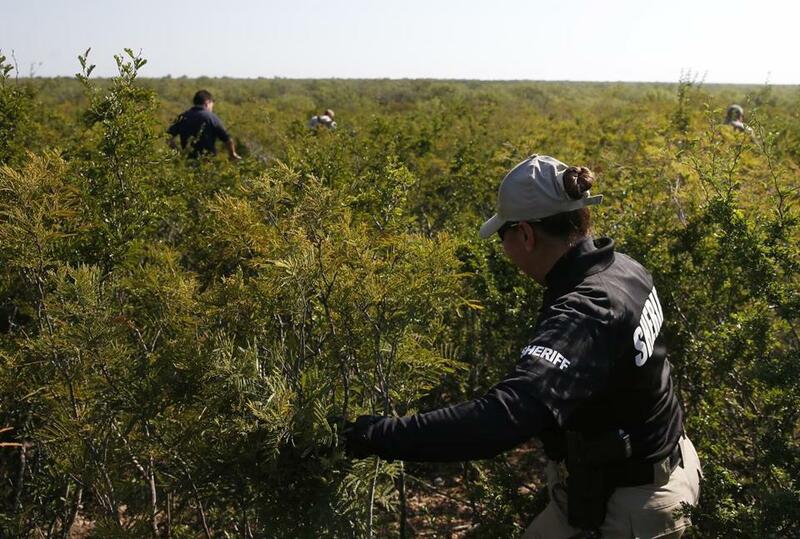 On Sept. 29, the search party gathered on a desolate dirt road flanked by thick rows of cactus and thorny shrubs in rural Maverick County, near the US-Mexico border. 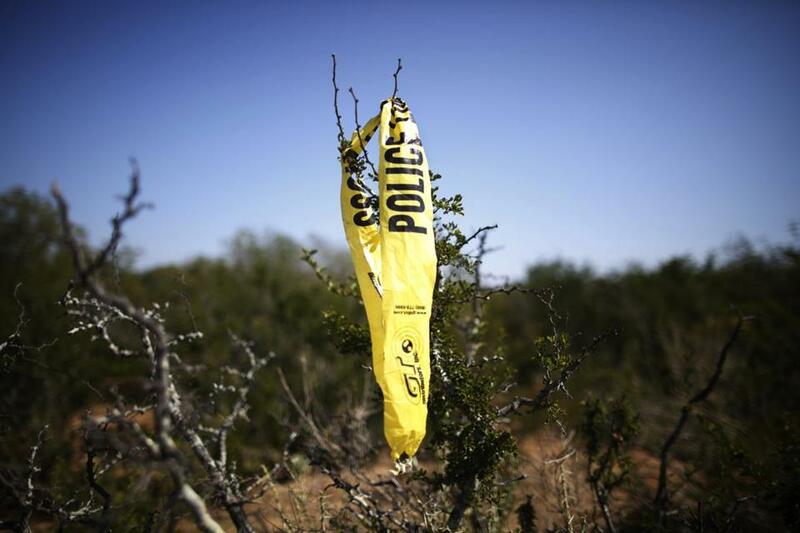 For hours, the contingent of more than 20 sheriff’s deputies, border agents, state police, and a forensic investigator slashed through the thicket with sticks and shovels and a machete. The thorns ripped at their uniforms and slashed at their faces — the same thickets migrants run through in the dark. They pored over the sandy terrain and waded hip deep into the yellow grass. Jesus Flores, a US Border Patrol agent, spotted the shredded remains of sunbleached pants. He opened the pockets, tearing the cloth like paper. But inside was just dirt. Sandra Lira, a Maverick County deputy sheriff, thought she saw a handful of bones, but they were just rocks. “Nothing,” she said, bowing her head in disappointment. Even Border Patrol Agent Jake Gurley was there, the one who had found the remains in September 2013, just three months after Santos disappeared, while chasing other migrants through the brush. The Border Patrol has a unit that rescues migrants, but Texas is so vast that many die of exposure or dehydration before anyone can find them. Their families have no idea where they are — and sometimes the migrants don’t know, either. Santos thought he was near McAllen, Texas, according to the texts he sent his sister. He was off by 300 miles, if the remains are really his. The skull was found close to Eagle Pass, a southwest Texas town by the Rio Grande. The searchers who scoured the area on this day did not find any remains, just a backpack and a ragged piece of a red jacket, nothing anyone could say belonged to Santos. “At least we can say we tried, for the family,” Sanchez told the searchers. In El Salvador, Santos’ father calls his daughter constantly asking about the investigation and wondering when he can bury the bones of his son. Maria might never have an answer. 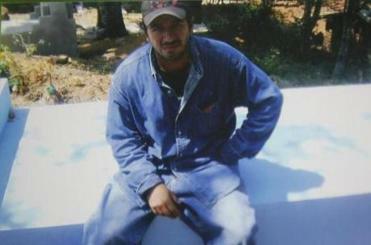 The Webb County medical examiner has not yet said whether they will test the skull again or bury it in a county grave.